As 2016 has almost reached the end, we have all started to plan our finances for next year. The same goes for businessmen establishing their new strategies meant to ensure serious incomes or financial revenues in 2017. Moreover, specialists in the finance sector have started making their own predictions in terms of challenges and possibilities of improvement and growth in the future. Therefore, today, we will focus on five reasons why we should all be cheerful for the finance sector so that we might start the new year feeling enthusiastic about this domain and making the right choices. Discover these below! The main reason why we should perceive the financial sector of 2017 in an enthusiastic manner is represented by the positive prospects predicted for the field of small business finances. The main predictions include among other positive factors, the availability of banks to lend more money to those willing to start a business or striving to grow their already-established small startups. Moreover, the quality of the overall lending process will also be improved which can only mean good news for the financial sector. Focusing on quality while emphasizing the value of the quantity of accepted loans seems to be the key to success next year. New sources of finances are always necessary and highly valuable for small businesses looking to expand their range of activities as well as the potential locations in which they might do business. The last two years have come with great challenges and numerous wonderings in the finance sector. However, although uncertainty is still considered common ground in this case, stabilization is also predicted to become an option in 2017. This can only mean good news for startup owners trying to grow their business as well as individuals looking to start a business in a specific area of interest. Customized proxy measures of economic activity have been established this year which leads to positive thoughts about the way in which stabilization might take place next year. Real indicators like electricity usage, passenger numbers and freight volumes are at the base of such positive predictions. Although serious softness was encountered at the turn of last year, the economy seems to have stabilized since then and this trend is more likely than ever to continue to spread in the same direction. After all the hassle of the economic crisis that has affected the entire globe, positive thoughts have started to make their appearance among specialists in the finance sector. Especially in the case of new business asset finances, good news has already been reported at the end of this year and this positive trend is considered more than likely to continue at the beginning of next year. Noticeable growth has been noticed especially in the IT domain as well as in the case of businesses dealing with commercial vehicles and powerful passenger cars. Overall economic growth seems to be the new trend of 2017 even though the rate of growth might fall back from time to time given the considerable challenges waited to be faced by various markets across the board. The property industry plays a huge role in the finance sector. The overall crisis encountered in the case of powerful markets like the UK last year and which continued this year has brought a full package of doubts among finance specialists making their predictions. However, the fact that many of the issues that caused the crisis have been solved this year, there is sufficient place for positive predictions in the finance sector as well. Moreover, affordable house building is considered a valid option for 2017 which brings a wide range of benefits in terms of finances both for investors and those looking to purchase or rent properties in well-established neighborhoods. Overall, 2017 is expected to be at least better than these last couple of years in which the economic crisis has been the focus. Improved strategies shall be used by successful businessmen like those who have managed to create popular brands such as Mouton Rothschildand the banking sector will focus more on offering its support to small businesses looking to increase their worth. Are you interested in the real estate market and what it can bring you in terms of investment benefits? It is never a bad idea to discover new insights from pros in the industry who have been down that road and have reached success on their own. They have had their fair share of questions and challenges over time but managed to find their own solutions and reach that point of clarity at which things started to look good for them. The property investment industry is not one that lacks challenges and high risks that sometimes need to be taken but it is always all worth your time and efforts in the end. Let’s discover useful tips from pros so that you might become the knowledgeable investor that has discovered his own secret of success. The real estate industry is not one in which only some people could find a place. The only trick is to learn how to make smart investments that might bring you serious earnings in the long run. Some of the wealthiest people on Earth have made their fortunes doing business with properties so there are enough reasons why you should consider this a sound investment for your future. The best tip one could give you at the beginning of your journey is to become well-versed in this space before diving into serious investments meant to help you grow your business. Investing in property is not like purchasing stock where minimum risks are taken and low amounts of money are invested. You need a serious initial budget to get the business up and running so you must always make sure that every step you take is the best one, especially at the beginning stage of your new startup. There might come the time when you need to invest a serious amount of money in purchasing a high-valuable property to sell afterwards or rent it and you need to be certain that this is the right step to take. Become well-informed, gather tips and tricks from pros in the industry and surround yourself with influential people and specialists who might help you do things well from the beginning. Although the real estate industry is open to anyone interested in doing business with properties, this does not mean that anyone is caught up for this. You need to be aware of what you are good at so that you mightknow whether this type of business is for you. Are you the kind of person who can sell anything to anyone? Do you know the value of quality in terms of property offers as well as the role of communication in any selling process? Will you be directly involved in this new business or hire the right people to do the job for you? These are only some of the numerous questions pros consider important for you to ask yourself before diving in the property business. You need to be aware of your knowledge, main assets and limitations because a business does not just develop itself overnight. If you are not good with people or unwilling to get involved in this process directly, you need to consider hiring professionals who can make sure that your investment is well-placed, that your new properties are well maintained and rented or sold to the best customers without losing time and money for this. Always be keen on analyzing the risks that come from making a serious investment and never lose your goal from sight. This is what will keep you focused and earning serious money that will help your business grow more and more every day. Moreover, your customers are the key asset in this business. Without them you cannot regain your initial investment nor make any profit. However, once you have established your business plan well, surrounded yourself with the right people and gained the proper knowledge and skills in the industry, you will be ready to build your business just by starting with a first valuable property in Kalkan. The business world is one with endless possibilities for serious investors as well as various challenges that can only be overcome through smart decisions. 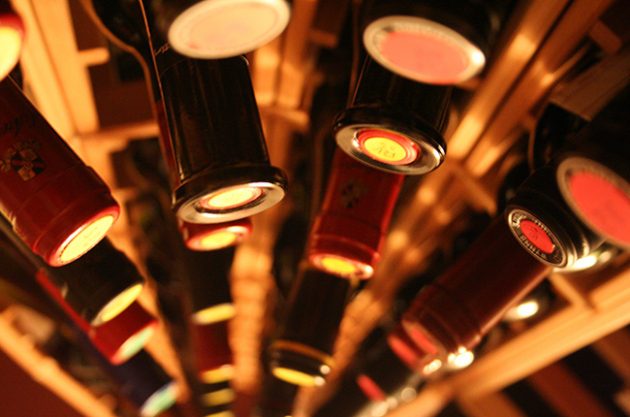 As far as secure investments go, fine wine seems to be on top of preferences at the moment. It is no new inventionbut it has managed to seriously increase in value in the last two years, according to most wine investors and business specialists. The benefits of making a profitable investment in fine wine are clear as long as you make sure to invest in the proper merchandise that might bring you valuable earnings in the long run. Let’s discover together some useful tips to ensure that you place your money on fine wine that will help you win a fortune in five to eight years from the moment of the initial investment. The most important tip to consider at this stage is to deal with reputable, well-established wine merchants if you want to make a profitable investment in the long run. However, this does not mean that you should ever limit yourself to only one provider. In fact, you should always pay attention to other possibilities and shop around for valuable prices and advice from specialists in this field. Another interesting tip to consider is purchasing fine wine in bond to avoid useless duty and VAT taxes from being paid. Unmixed sealed cases are a good option to consider at this stage together with original wood as the only material for storage to keep the merchandise in perfect conditions for your future customers. Proper storage and high-quality are the key elements for a successful investment to pay out well for you in the future. Moreover, when it comes to fine wine investments you should knowthat these do not pay off overnight. It is a serious initial investment that brings you important financial profits but only after a minimum fiveyears’ periodin which ensuring proper maintenance of your treasurable merchandise should be your main goal. Most specialists even say that eight years is the best period to consider before selling the fine wine to achieve the highest earnings in this field. Also a valuable tip to consider when it comes to fine wine investments is to purchase the merchandise as close to the opening price as possible. Moreover, at least £10,000 can be considered a serious initial sum for investment if you are interested in valuable returns over time. Furthermore, your focus should not be on the big names only because you may realize that these come with less profit potential sometimes. However, high-quality should always be your main concern when it comes to your chosen merchandise for investment and no compromise should ever be made on this. Specialists always play an important role in the business world. When you decide to make a serious investment in fine wine, it is always recommended to analyze the circumstances with specialists who can offer you valuable advice. In addition, it is also a good idea to listen to your wine merchant because he will have some valuable tips to offer as well given his knowledge, skills and expertise in this industry. In the business world, there is no place for mistakes or improper knowledge as long as successful investments are the focus. Never leave any details undiscovered or wrongly understood because these can highly influence the success of your business in the long run. Therefore, make sure you are aware of the provenance of the fine wine you decide to purchase as well as the conditions of its maintenance. Moreover, fine wine should always be insured and stored under the name of the investor under perfect conditions to ensure its long-term value and potential for profit in the future. All in all, investing in wine is a great option to consider given the financial times we experience these days. All the specialists advise this and attract the attention of investors through useful tips that can make them certain of the quality of the chosen merchandise for investment as well as the profit that can be obtained in five to eight years. Many investors today still consider house property an attractive form of investment. That’s mainly because of the quick value appreciation factor provided. However, once you’ve decided to sell, the profit margin waiting for you is better known as capital gain; this leads to tax accumulations. In this case, it might be a good idea to know some basic rules before investing so as to be aware of the costs involved, and learn how to avoid massive tax liability as well as additional pitfalls. One of the key aspects one must be aware of prior to putting their home up for sale is timing scale. Proper timing matters even when you’re not taking advantage of the market’s situation; it must be considered for making optimum gains too. For instance, if the property sold is being transferred in the first 5 years there are tax deductions you can apply for; these can be claimed for repayment of property loan and it will be reversed. Furthermore, if you sell a home after only living or owning it for just three years, you can get a concessional tax deduction on the capital gain since the LTCG (long term capital gain) is less than shot term capital gain tax – this applies only if you sell the property in three years from the buy. The seller is at liberty to adjust the property cost following the indexation to save cash on capital gains. Even more so, you make an investment and use the capital gain from capital gain saving instrument if you sell the property in 3 years. 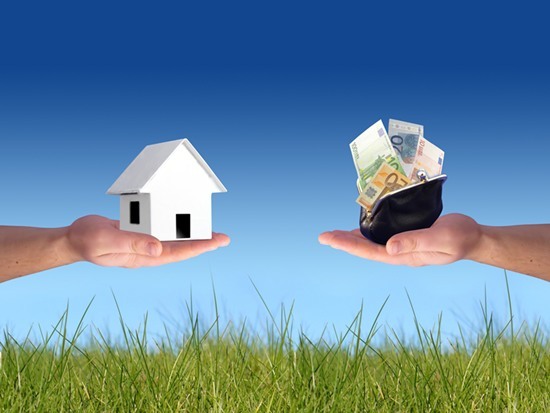 Capital gain is better described as extra sale consideration over acquisition costs, improvement costs and expenses when transferring the property. With LTCG, improvements and acquisition costs are recalculated to match with the inflation with a notified cost inflation indexation. In case you’ve acquired the property as inheritance or gift, the capital gain is made up of basic costs attributed to the previous owner. - Residential property either by purchasing in 1 year before the sale, or 2 years following the sale; or construction of the exact same property in 3 years from the sale date. However if you don’t make the investment prior to the due date of completing the income tax return form, the gains will have to be placed in a capital gains account. There’s a section 54 under the property seller set of rules and regulations that says sellers are at liberty to claim tax exemption. However, to avail the benefit sellers must make use of the whole capital gain (profit) in order to be eligible for another house. There are two options they can use: they can either purchase another house in 2 years from selling the first, or they can build one in 3 years. But if the seller can’t purchase a property in 3 years following the selling of the first one, the capital gain accumulated will be revealed to LTCG. Bottom line is, in order to save long-term capital gain, sellers must buy a property in 2 years after they’ve sold their old one, or better yet, build one in 3 years. Saving cash on capital gain taxes is doable, but there are certain rules property sellers must abide by. The better you know the real estate market, the higher chances you have to make a smart investment and saving money. It’s all about settling some priorities and knowing the ins and outs of the market, or consulting with a professional realtor.